It's a breezy late Sunday afternoon. 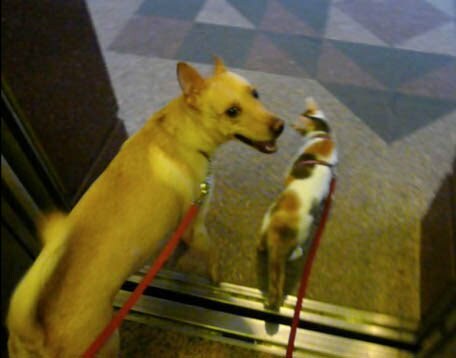 I came back with Cookie after a walk round the park and wanted to bring Creme down to 吹吹风 (enjoy the breeze). 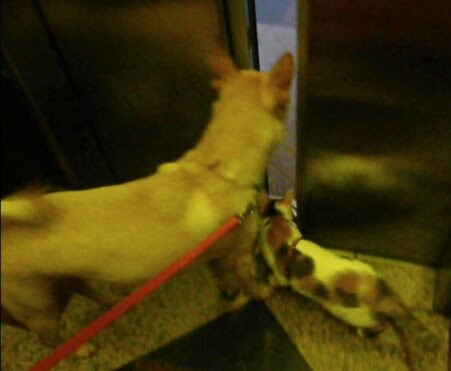 Here's the two of them in the lift. 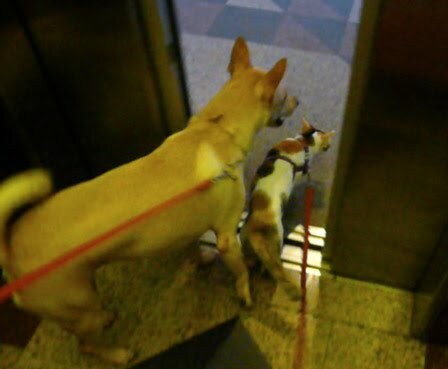 They couldn't wait to squeeze themselves out when the lift door was opened. Cookie was so sweet, she turned back and smiled happily at me, because I let her go out for a second round! 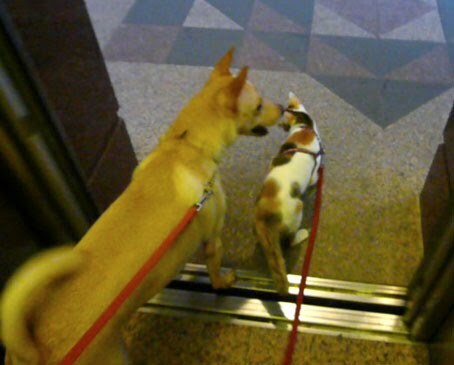 Creme is always slow when going for walks, quite understandably, because of her size. Cookie usually has little patience to wait for her. 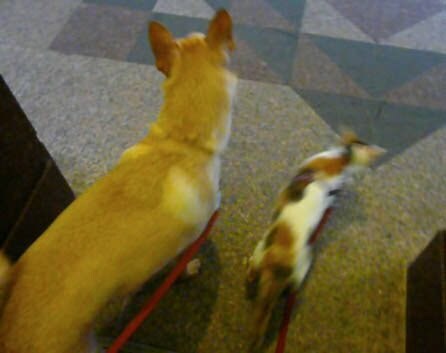 So walking them together is a bit challenging.